He takes charge on the final six holes to emerge with a two-stroke victory at Val Halla. CUMBERLAND — Down, then up. Down, then up. 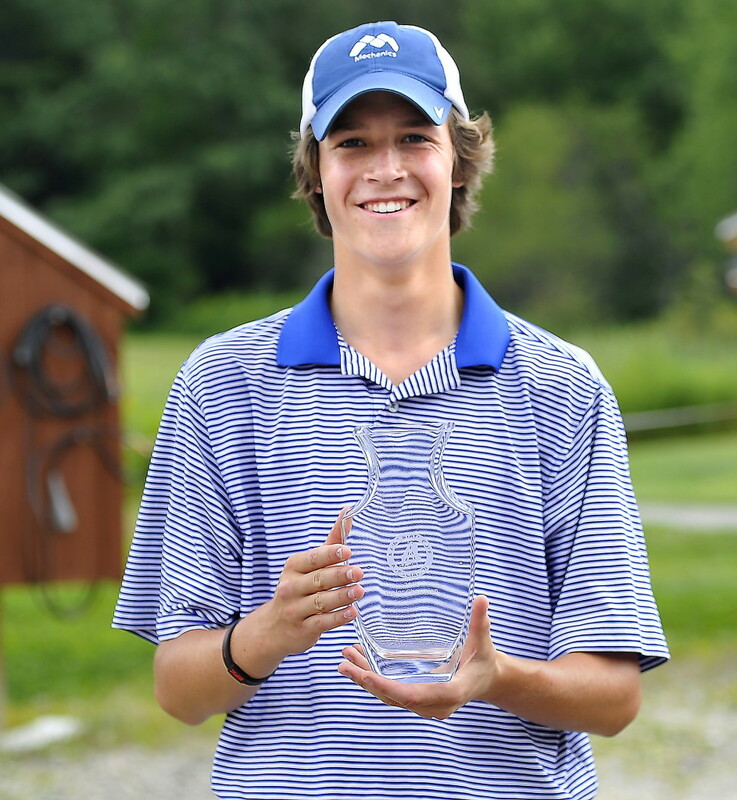 That’s the kind of round it was Wednesday for Will Kannegieser of Minot, but by the time it ended he was a repeat winner of the Maine Junior Amateur golf championship at Val Halla Golf Course. The final up of Kangieser’s roller-coaster round settled it, when he went 3 under on the final six holes. 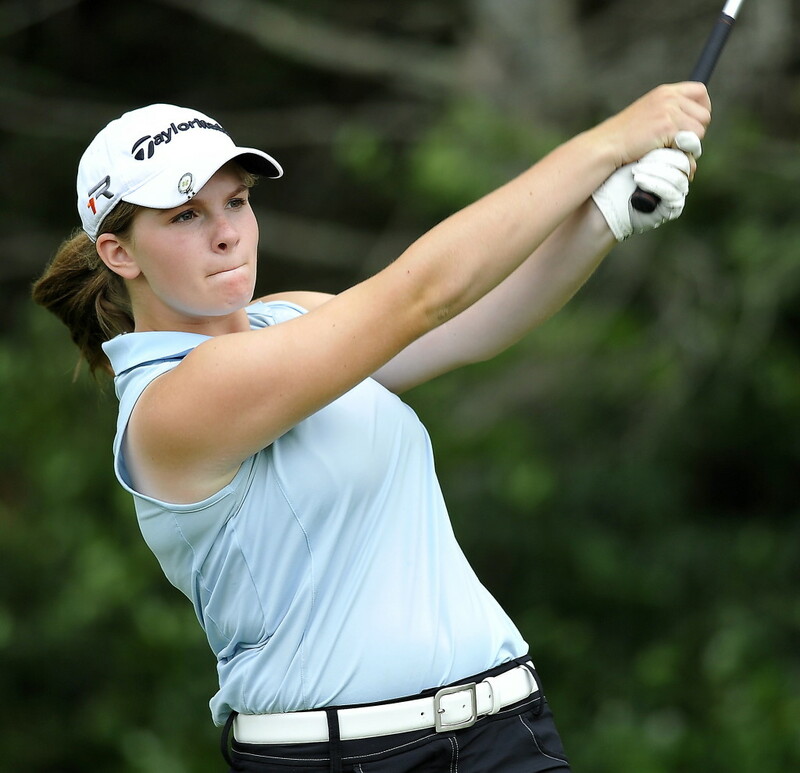 Kannegieser, 17, finished with a 36-hole score of 144, adding a 74 to an opening-round 70. 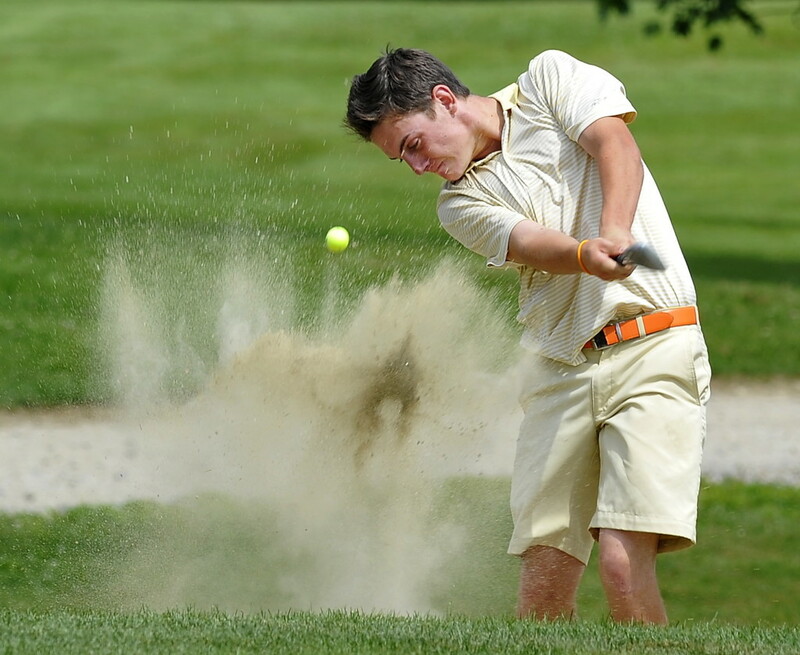 Drew Powell of Bangor, who led by a stroke after an opening-round 69, took a nine on the par-five fourth hole and had a 77 for a 146 total, finishing second. Kannegieser and Powell competed in the 15-17 age division, whose winner is the overall Maine Junior champion. The third member of the final group, Luke Ruffing of Manchester, started the day six shots behind Powell and five behind Kannegieser. Ruffing, who finished second last year, never challenged. Drew Kane of Scarborough was third at 148, followed by Chris Billings of Topsham at 151, Ruffing at 152 and Reese McFarlane of Cape Elizabeth at 154. Kannegieser got off a great start with a birdie on the par-4 first hole, then took a one-shot lead on the third with a par. The next two holes, both par 5s, gave Kannegieser problems: He went bogey, double bogey. After taking a nine on the fourth hole, Powell tied Kannegieser by parring the par-3 eighth, then grabbed a shot lead heading to the back nine with a bogey on the ninth as Kannegieser took a double bogey. Both golfers parred 10 and 11. Powell birdied the par-5 12th by reaching the green in two shots and two-putting to increase his lead to two shots. 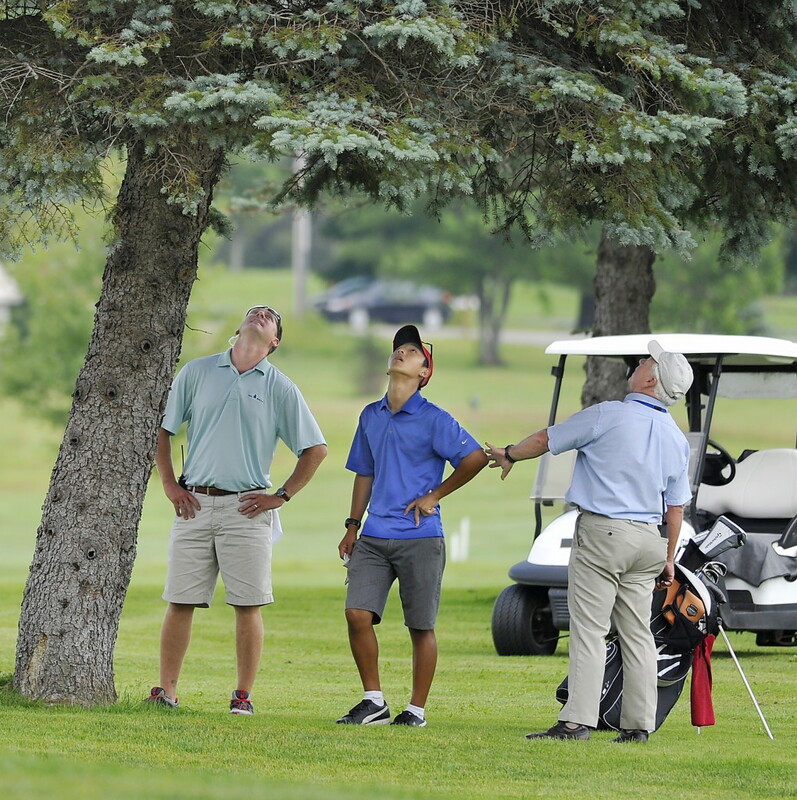 “I knew I just had to make a birdie in the next couple of holes and I would be fine,” said Kannegieser. Kannegieser, a senior at Gould Academy in Bethel, where he is also a top Alpine skier, just missed a birdie putt on No. 13, but made birdies on 14 and 15, both par 4s, to draw even. Kannegieser then took the lead for good with a par on the downhill par-4 16th. Powell three-putted from 20 feet for a bogey. When Kannegieser parred the uphill 190-yard 17th and Powell couldn’t get up and down for par from just off the green, Kannegieser had a two-shot lead heading to No. 18. Kannegieser wasn’t sure what his lead was and thought he needed a four-foot birdie putt for the win on the 18th green. 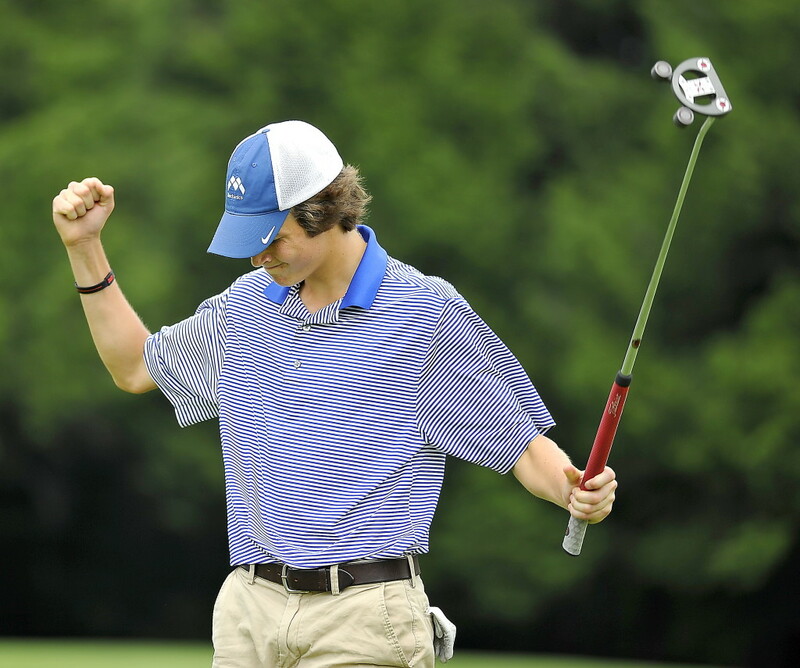 He made the putt and raised both arms in victory, but he could have two-putted and still won. Powell was on the 490-yard par-5 hole in two shots and needed to drop a 30-foot eagle putt to have any chance. His putt was left and eight feet short. Powell made the birdie putt before Kannegieser made his. Trailing by two shots with six holes to play, Kannegieser made up four shots in holes 14 through 17. “This is my last summer playing in this tournament so it feels great to win it for the second straight year,” said Kannegieser. 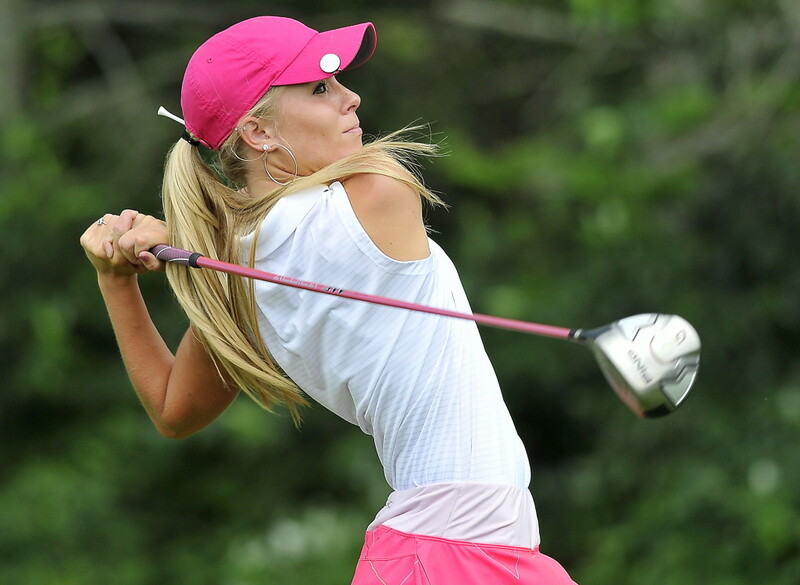 Kelsie Dessent of Fairfield won the girls’ 15-17 division with rounds of 82-77-159. 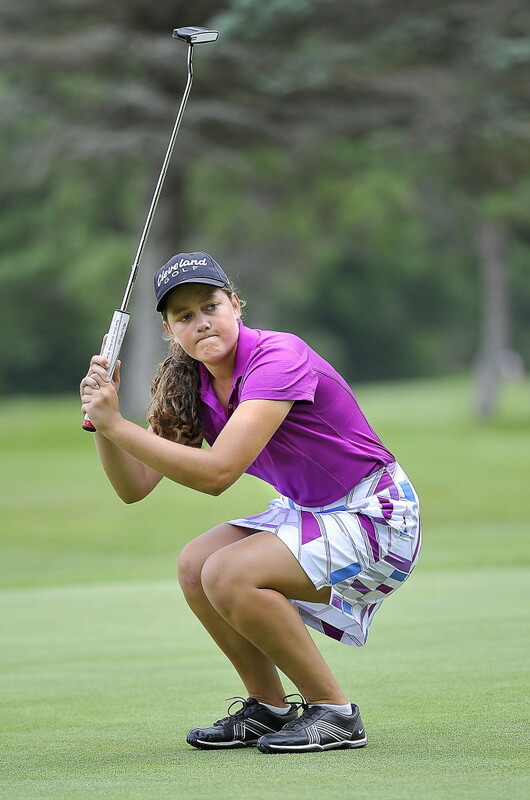 Lauren Schonewolf of Cape Elizabeth won the girls’ 13-14 division with 78-91-169. 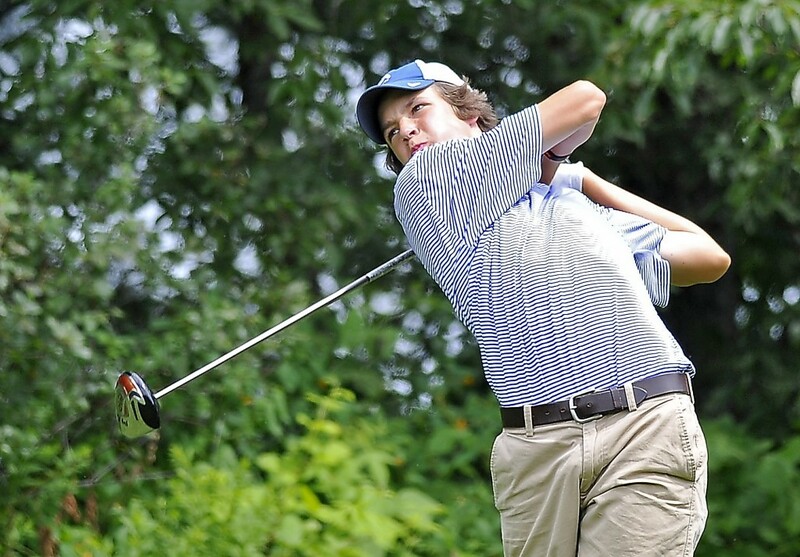 Ryan Collins of Cape Elizabeth won the boys’ 13-14 division with rounds of 78-79-157. Ryder Henry of Mt. Desert Island captured the boys’ 12-and-under division with an 85. That division played nine holes both days. There was a 90-minute rain delay shortly after the 15-17 boys finished play.